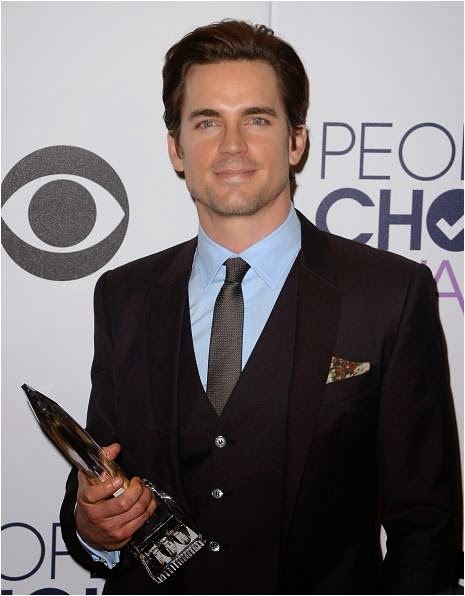 Matt Bomer was photographed wearing TACORI cufflinks to the 2015 People's Choice Awards in Los Angeles. 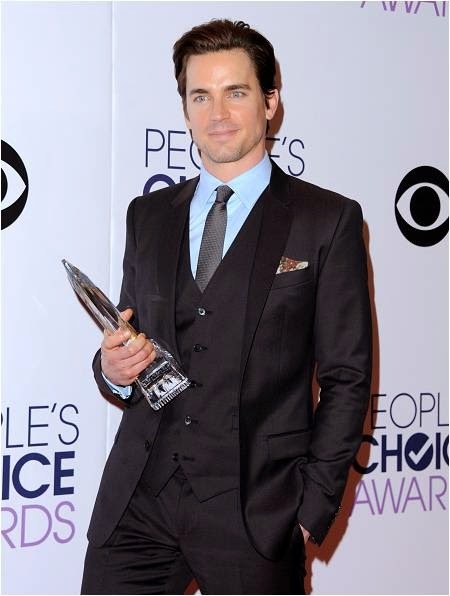 The White Collar star debuted TACORI's Retro Classic Collection as he celebrated his win for Favorite Cable TV Actor wearing Silver Cushion Sky Blue over Hematite Cufflinks ($1,230; style no. 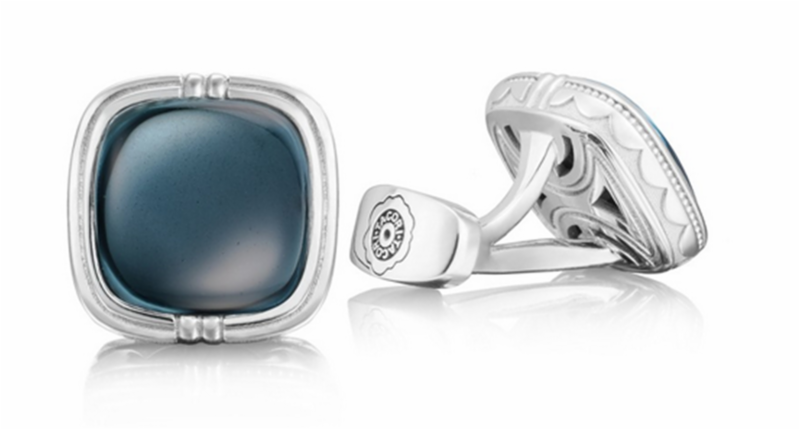 MCL10037; www.tacori.com). Matthew Staton "Matt" Bomer is an American actor, known for his role on the USA Network series White Collar, which premiered in 2009. Making his television debut with Guiding Light in 2001, Bomer received notice with his recurring role in the NBC television series Chuck as Bryce Larkin. He has featured in supporting roles in such films as the 2005 thriller Flightplan, the 2011 science fiction thriller In Time, the 2012 comedy-drama Magic Mike and the 2014 supernatural-drama Winter's Tale.